Clara E Sivertson, 90, of Duluth passed away Friday, May 7, 2010, at Benedictine Health Center with her family at her side. 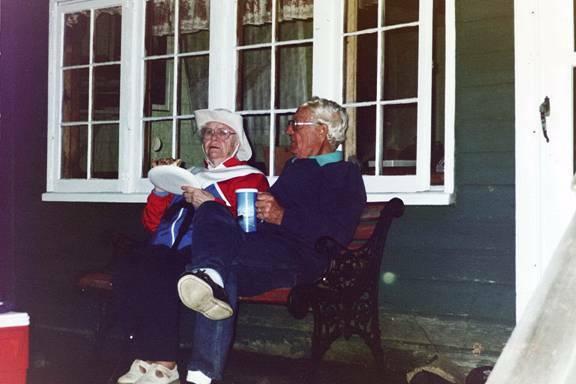 She was born in Croftville, Minn., near Grand Marais on Sept, 4, 1919, to Matt and Marie Rasmussen. Clara married Stanley Sivertson in 1938 and lived near Schroeder before moving to Duluth in 1940. From mid-spring to late fall, they moved residence to Wash-ington Island on Isle Royale, where Stanley’s family had established a fishery in the 1890s. Clara worked with Stanley’s mother, assisting in the cooking, laundry and support activities for the family fishing operations, which were quite active at the time. When her children reached school age, her stay on Isle Royale was limited to summer vacation. Over the years, Clara worked in the family businesses, Sivertson Fisheries and Grand Portage Isle Royale Transportation Co. After the death of Stanley in 1994, she continued managing the businesses until her retirement in 1999. Clara was a member of First Lutheran Church in Duluth, the Sons of Norway, Morningside Garden Club, Michigan Fish Producers’ Association, North Shore Fisherman’s Association, Save Lake Superior Association, Great Lakes Passenger Vessel Operators’ Association and Isle Royale Families and Friends Association. Clara was preceded in death by her parents; three sisters, Carrie (David) McGiverin, Esther (Phil) Phillips and Evelyn (Norb) Leannah; and brother, Lester (Edith) Rasmussen. She is survived by her children, Stuart (Nancy) Sivertson of Duluth; Sandra (Frank) DeBolt of Green Valley, Ariz.; Sharlene Sivertson of Duluth; several grandchildren; great-grandchildren; and many nieces and nephews.